Tom Daguanno and Andrey Douthard are native Detroiters. While both left briefly, for jobs and school, both returned to start two unique small businesses. Today, Daguanno’s 1701 Bespoke designs custom suits for young professionals. Douthard’s Paramita Sound, launched just last fall, sells vinyl records and cassettes to fans of all genres from Detroit’s historic West Village. They recently came together for a special project: a video showcasing local musicians and summer fashions. They took their inspiration from their city, wanting to show how Detroit looks and sounds right now. In the process, they’d learn how to maximize both their talents and technology, with the help of Microsoft tools. Their lessons learned can help take any collaboration to the next level. Multitasking is essential. In a special partnership, Microsoft transferred both companies to its platform helping each team member communicate anywhere, at any time. Douthard created playlists on Xbox Music from his Lumia smartphone and saved the songs to the cloud with OneDrive for the team to review. 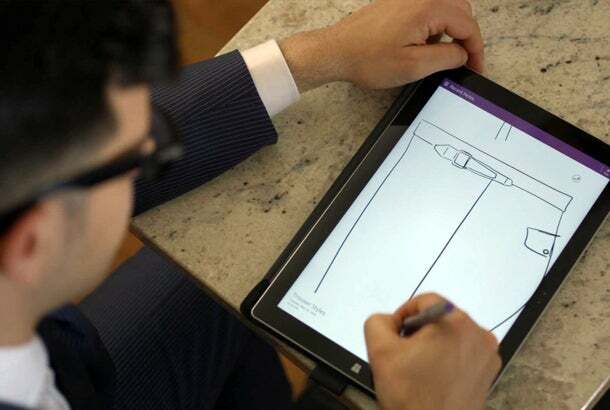 Daguanno sketched style ideas on his Surface Pro 3, sending the designs to Paramita for feedback. On one platform, collaboration was seamless. Be ready to learn. Anna Atanassova, a partner at Paramita Sound, curates vinyl titles for the shop. She strikes a balance between what’s accessible and what might impress a superfan deep into genres like punk or African psychedelic. She recognized Paramita’s own mix of tradition, craftmanship and personal style in the suitmaker’s process. Let technology work for you. 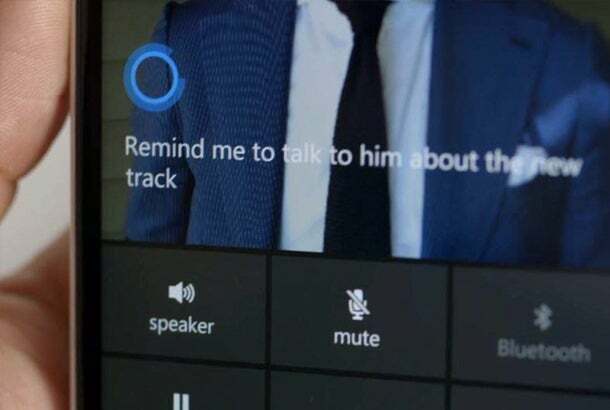 Apps like Cortana served as the companies’ personal assistant. The tool reminded them of appointments and prompted them to discuss specific questions when they finally met in person. The tool kept the two teams organized, in touch and on task.